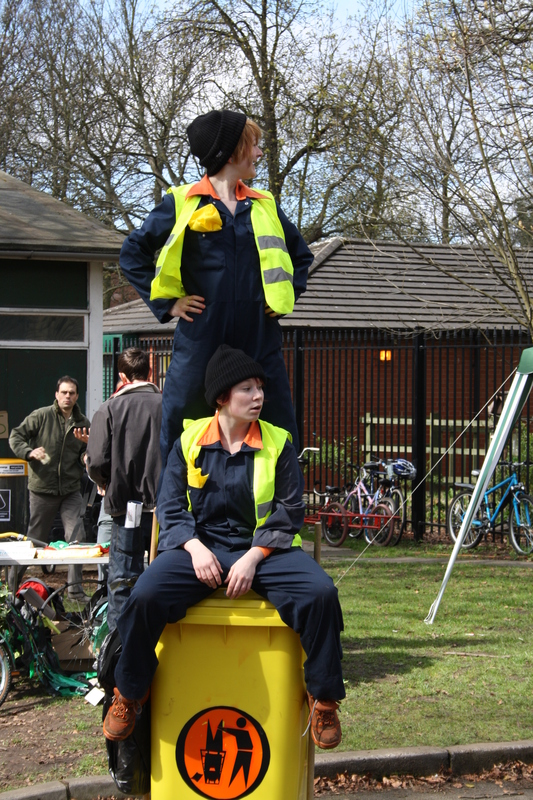 Our unlikely acrobatic street cleansers are on the look out for dirt- whether it’s up high or behind the ears of the general public. Armed with an arsenal of cleaning paraphernalia they entice audiences to clean up their act. Literally. Spit Spot is a walkabout performance available with one or two performers.